Children’s and Young Adult Publishing: An Expanding Market? Children’s and young adult publishing are a significant part of Latin American publishing production; a region with a powerful consumer market. In recent years, there has been debate on this sector’s exponential growth. All the while Latin American writers, illustrators, and publishers are being recognized in international competitions and awards, revindicating the quality of their content. However, there is also doubt about its development opportunity in Spanish-speaking countries. 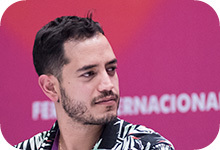 Following two Latin American Children’s Publishing Conferences (2015 and 2017), FIL Guadalajara inaugurates the International Publishers and Book Professionals Forum program to reflect, discuss, and debate topics that are fundamental to understanding the current state of this market segment. Its objective is to provide useful expertise on a range of areas, and share experiences and perspectives. Some of the topics we will address this year include: public purchases, internationalization through rights sales, analyzing reading promotion and literary criticism projects, and how to ensure titles remain in catalogs over the long term, among others. The program will close with a conference by María Osorio, winner of the FIL Guadalajara Publishing Merit Award. We invite everyone to attend this event, which will be free of charge for this year’s registered professionals and exhibitors. Born in Geneva, Switzerland, she is a graduate of the Faculty of Letters at the University of Geneva. She has worked at La Joie de Lire publishing house in Geneva since 1996, where she celebrated her career’s 30-year anniversary in 2017. She divides her time between managing foreign rights (sale and purchase), researching grants, and publishing work. She also participates in La Joie de Lire’s reading committee and manages contracts with authors, illustrators, and translators. She has been a publisher at Pallas and Pallas Mini since 2002. She graduated with a degree in journalism and has a master’s degree in editorial production from the University of Arts in London. She manages the publishing house with Cristina Fernandes Warth, her mother, which focuses on innovation in and quality of books, appraising Brazilian culture for children and adults, particularly the revival of African heritage in Brazilian culture and affirmative action, subjects Pallas has been involved with for nearly 45 years. She has taught several postgraduate courses and is currently director of international relations of LIBRE. She is a graphic designer. She worked for eight years at the Madero Printing House with master printer Vicente Rojo. She founded Petra Ediciones in Guadalajara in 1990. Since then she has worked as an editor, designer and director of the publishing house. She is the designer for the magazine Luvina. She has been granted the following national and international awards, including, among others: Best Children’s Publisher of the Year in 2014 at the Bologna Children's Book Fair, the New Horizon Award at the Bologna Children’s Book Fair three times, and “The Best Books for Children in Spanish” award from the Book Bank of Venezuela. Born in Buenos Aires, Argentina, she earned her bachelor’s in visual arts from the National University of the Arts. She is a professor of drawing and painting and is a graduate of the Bellas Artes Manuel Belgrano and Prilidiano Pueyrredón universities. At the latter, she served as chair of Visual Fundamentals and Painting department. Having worked as an art professor for over 20 years, she works in creating education projects through art and digital art for children at both private and public institutions. In addition, she is the art director at the La Bohemia publishing house for its children’s, youth and essay collections, and co-directs (with Valeria Sorín from Cultura LIJ) a magazine that reflects on children’s literature and the culture of childhood. This work has earned her a Pregonero Award, which is granted by the El Libro Foundation and organized by the Buenos Aires International Book Fair. The award is granted to acknowledge promoters of literature for children and young people in Argentina. She is a social commentator and journalist at the Universidad Pontificia Bolivariana de Medellín. She is also a publisher and writer. Since 2005, she has directed the independent publishing house Tragaluz editores, a renowned publishing house that has won international awards for its high quality work. Her book Bola de agua (2009) received one of the most important awards in Latin America: The Best Books for Children and Young Adults 2015 by the Banco del Libro in Venezuela. Her book Mil orejas (2014) was selected among The Best Books for Children and Young Adults with Disabilities by IBBY (2015) and also received a special mention in the New Horizons category of the Bologna Ragazzi Award (2015). She has given talks on topics related to publishing, particularly independent publishing and literature for children and young adults, at the Frankfurt Book Fair, the Guadalajara FIL, at the Hay Festival Querétaro (Mexico) and at the Bogota International Book Fair. She studied History at Universidad Veracruzana and has a master’s degree in history from the Faculty of Philosophy and Literature at the UNAM. She was a history professor at the Universidad Autónoma Metropolitana for six years. She worked at Mexico’s General National Archive for six years and for two years at the Documentation Center for the Mexican Government of the President (Centro de Documentación de la Gestión Gubernamental de la Presidencia de la República). She has worked as a publisher for more than 30 years. She has coordinated over 70 art publications and close to 300 about education, history, gastronomy, archaeology. Since 2004, she has published 110 titles of narrative, history, art and poetry for children, with Ediciones El Naranjo. The publishing house she manages has been nominated for the Bologna Prize for Best Children’s Publisher of the Year on 5 occasions (2014-2018), and her books have received more than 100 recommendations, mentions and awards, including a mention in the New Horizons category of the Bologna Ragazzi Award (2013), the inclusion of three titles in the White Ravens (2009, 2011 and 2014) and of two books in the IBBY Honor List Switzerland (2016, 2018). She is author of several cook books, and is co-author of a text book for primary education called Conoce nuestra Constitución. She is a commercial engineer and has a master’s degree in archaeology from Yale University, United States. She has acted as a consultant for museums and exhibitions with themes for children. In 2002, she founded Editorial Amanuta that has published over 100 children’s picture books to date, in which myths, traditions, legends, tales and stories from Chile and Latin America are revived. Born in Buenos Aires, Argentina. She has a degree in literature, but has worked for the publishing sector in the areas of education and children’s books since she was 16. In 2008, she joined the Pequeño Editor team and in 2012 she became its Director. Since then, the imprint has added cultural management development projects to its catalog to encourage children’s access to written culture, transmedia content, and hands on experiences. Pequeño Editor received the 2015 BOP Best Editor of the Year Award for the Central and South America region at the Bologna Book Fair. She is editor of Revista Emilia. She is an editorial consultant and has a doctorate in economic history from the University of Sao Paulo, with a major in children’s literature from the Universidad Autónoma de Barcelona. She is a curator and coordinator of the Conversas ao Pé da Página seminars (2010-2015). Since 2015, she has managed Instituto Emilia and is one of the creators and coordinators of the Laboratorio Emília de Formación. She coordinates the Cátedra Latinoamericana y Caribeña de Lectura y Escritura in Brazil. She was a guest professor of the master’s degree at Universidad Autónoma de Barcelona. She was curator at the FLUPP Park Literary Festival of the “Peripheries” of Rio de Janeiro in 2014 and 2015. She was a member of the judging panel for the Hans Christian Andersen Award 2016 and the Bologna Ragazzi Award 2016. Since early 2018, she has been an advisor for the Bologna Children’s Book Fair for Latin America. Writer, publisher and literary researcher. He graduated with a degree in sociology from the University of Havana. He has worked at important cultural organizations such as the Cuban Ministry of Culture, the Costa Rican Ministry of Culture, Youth and Sports, and CERLALC, the Regional Center for Book Promotion in Latin America and the Caribbean. He is currently coordinator of the Ibero-American Authors Program at the Miami Book Fair. He created and manages the Fundación Cuatrogatos, based in Miami, which develops cultural and educational programs focused on research about literature for children and young adults in Spanish. His books for children and his literary research have been published in Argentina, Colombia, Ecuador, Spain, Mexico and the United States. She studied communication at the UNAM and completed the certificate course in literature for children and youth at the Universidad Iberoamericana. She worked for eight years developing content for the programming bar Once Niños for Once TV México. Subsequently, she worked as the Assistant Director of Editorial Advertising during the 31st, 32nd and 33rd annual International Children’s Book Fairs. She has served on the judging panel for the El Barco de Vapor Award; received a grant from FONCA for her Camino Amarillo research, LIJ meeting of writers and illustrators; and has curated collections of textbooks and children’s literature for school libraries and classrooms for the SEP. She currently manages the SM Foundation where she oversees cultural and educational projects in the network with Ibero-America and is President of the CANIEM’s Committee for Children’s Literature. She studied communication at the UNAM and completed the certificate course in Literature for Children and Youth at the Universidad Iberoamericana. She worked for eight years developing content for the programming bar Once Niños for Once TV México. Subsequently, she worked as the Assistant Director of Editorial Advertising during the 31st, 32nd and 33rd annual International Children’s Book Fairs. She has served on the judging panel for the El Barco de Vapor Award; received a grant from FONCA for her Camino Amarillo research, LIJ meeting of writers and illustrators; and has curated collections of textbooks and children’s literature for school libraries and classrooms for the SEP. She currently manages the SM Foundation where she oversees cultural and educational projects in the network with Ibero-America and is President of the CANIEM’s Committee for Children’s Literature. Children’s Literature: is it just for kids? Children's Literature: is it just for kids?